Earlier this month, at the IFA 2014 tech show in Berlin, Sony announced the launch of a slew of devices including a mid-ranger Xperia E3 and its dual SIM variant. While the flagship Xperia Z3 that was announced at the tech show is slated to be released in India on September 19, the Xperia E3 has also been released in the country. Sony has priced the Xperia E3 at Rs 11,990 and the Xperia E3 Dual at Rs 12,990 respectively. Both the smartphones have similar specifications with the only difference between them being the dual SIM functionality as the name indicates. 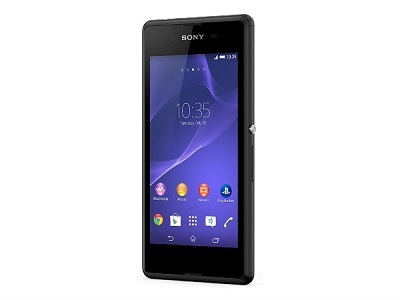 On the specification front, the Xperia E3 arrives fitted with an average 4.5 inch capacitive touch screen display that is equipped with a FWVGA screen resolution of 854×480 pixels translating to a pixel density of 217 pixels per inch. It is powered by a quad-core Snapdragon 400 MSM8226 processor from the stable of Qualcomm. This chipset is aided by an Adreno 305 graphics unit and 1 GB of RAM that will provide decent levels of performance. Fueled by Android 4.4 KitKat, the Sony smartphone is packed with low 4 GB of internal storage space that is too low as many manufacturers in this space are coming up with 8 GB offerings. However, there is an expandable micro SD card slot that will support up to 32 GB of additional storage. The imaging hardware of the Sony Xperia Z3 includes a 5 MP primary camera teamed up with LED flash for an enhanced low light performance and FHD 1080p video recording. Also onboard is a VGA front-facer for basic video calling and selfies. Connectivity wise, the device has 3G, Bluetooth 4.0, Wi-Fi and GPS and there is a 2,330 mAh battery with Battery STAMINA mode. In the competition forefront, the Sony Xperia Z3 and Xperia Z3 Dual are priced pretty high for the specifications they pack in. Their competitors including the Asus Zenfone 4 A450CG, Android One smartphones from Micromax, Spice and Karbonn are all priced in the sub Rs 7,000 bracket making them affordable.